Mr. Sloane is the President, Chairman and CEO of Newtek Business Services Corp. 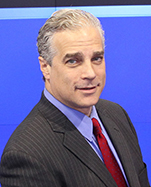 Prior to joining Newtek Business Services, Mr. Sloane was a Managing Director of Smith Barney, Inc. where he directed the Commercial and Residential Real Estate Securitization Unit and, prior to that, he was national sales manager for institutional mortgage and asset backed securities sales. Mr. Sloane was founder and President of Aegis Capital Markets, a consumer loan origination and securitization business. Additionally, he was Senior Vice President of Donaldson, Lufkin and Jenrette, where he was responsible for directing sales of mortgage-backed securities and was a senior mortgage security sales person and trader for Bear Stearns, L.F. Rothschild, E.F. Hutton and Paine Webber.